Want more know how? Check back regularly for insights and updates on building your portfolio, upcoming events and more. Is Interstate Property Investing for me? My question in response to buying interstate investment property, why wouldn’t it be? Why limit yourself to the street or suburb you know. Australia is a big place. By limiting yourself you are limiting your growth optimisation. I think we all know someone who has two houses in the same suburb and possibly in the same street. Buy where you know. It’s worked for the last 20 years. Why change it. It could very well fulfil the dream of living the ‘european village’ lifestyle. In some cases the dream is a dream run, in other cases, you have a robert and raymond modern family situation on your hands!! 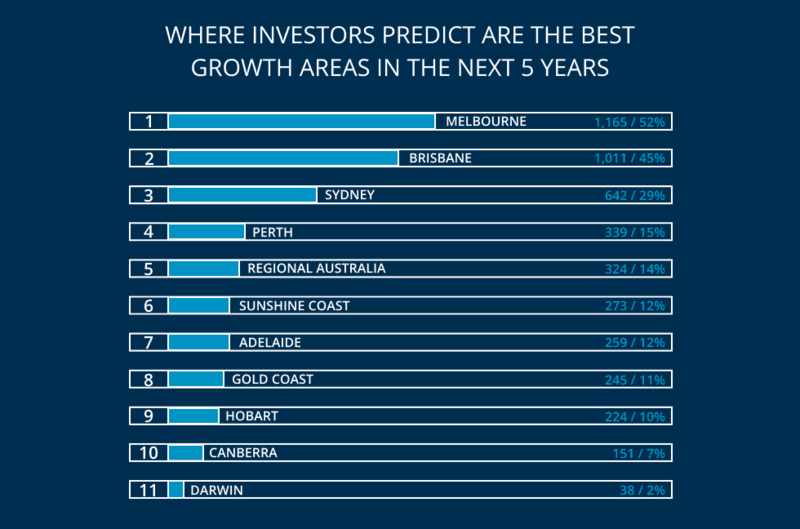 When Property Investors were asked* where would you buy for the best capital growth in the next 5 years, they found Melbourne and Brisbane to be the top two areas. *2017 Property Investor Sentiment Survey run by Property Update in conjunction with Your Investment Property magazine. Over 2,250 Australians, of people who are already interested in property investing, completed the survey. (73% male, 27% female. Click onto survey for more information as to the type of people surveyed). A lot of people do say that they would like to invest close to where they live, so they can drive past the property. I don’t want to take this away from anyone, it’s a beautiful thing, to drive past your investment property, but so is looking at a very good return. If you are a Sydneysider, for example, only buying in Sydney limits your options in a big way. In some cases I have seen potential investors put property investing off, because they cannot afford Sydney prices. 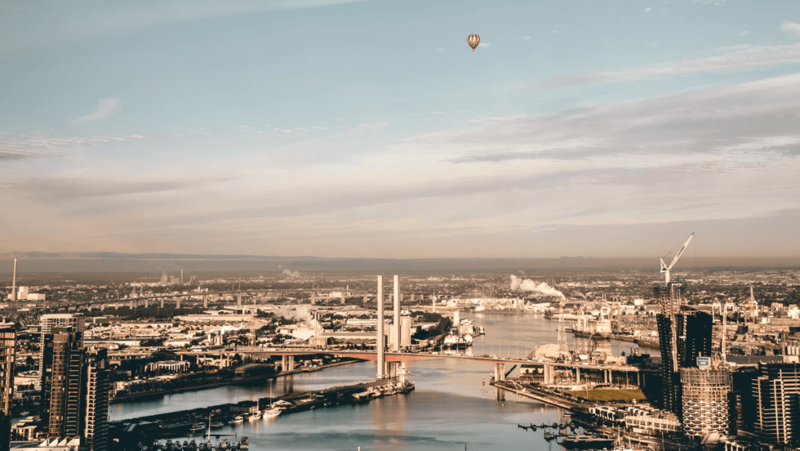 Looking outside of Sydney can open their mind to taking a different approach to investing, that can be as, if not more prosperous, than a Sydney Investment. The property buying services available today, have never made it more easy to buy interstate property investments. You don’t have to see the property. You probably may never have to see it, even after you have bought it. You can see a video, photos, talk to the agent, outsource to a buyers agent, work with a property strategist/coach. Where you manage the team of people around you to do the work. And if it’s the right team, they will do a better job than you would do yourself, whilst stretching you to think broader than your five kilometre radius. The other big benefits of working with a strong team around you is, you will move a lot faster to build your property portfolio and you will save time. It’s someone else doing the driving around on the weekends. Someone who loves being in this space every day of the week and know it like they know the back of their hand. It’s these people that you want on the ground looking for your property investment. If you are an investor, the key question is about direction, where is your future heading and how will property investing help? The details of where the property is, comes in at a distant second. If you can separate this, and put a strategic, long term outlook hat on, then you will be in a better position to take the emotional attachment out of where the investment property is located. Interestingly when you buy interstate, the process teaches how easy it is to disconnect emotionally and the positive impact on your decisions as a result. What is the current state of the market? What is the growth history the market? What does the data around: Immigration, Employment, Affordability, Demographics, etc, tell me? What areas will deliver the best growth in the next 3-5 years? What is your level of risk and how is this best managed? For example, if all your properties are in one area, what would happen if there was major flooding? The best thing you can do is understand the difference between a place you buy for yourself and a place you buy as an investment. They are very different, and you should treat them differently. When investing, the focus is on optimisation, to increase your yields and returns, along with creating diversification across your asset portfolio so you manage market peaks, troughs, government laws, etc. So a big yes from me to buying a interstate property investment. If you would like to talk interstate property investing, or anything and everything property investing, lets connect. Or check out my First Time Property Investing Program. Get more know how. Sign up for Luke’s fortnightly newsletter to learn about upcoming events, tips and more. Copyright 2017 - 2019. First Time Property Investment.